Women have been marginalized throughout the Malian peace process and their inclusion has received little priority, contrary to UN Security Council resolutions on the involvement of women in peace processes. Although legislation and policy frameworks promoting their inclusion are in place, implementation is lagging behind. Despite difficulties in the Malian peace process, there are opportunities to improve women’s inclusion, which should be seized immediately, before the peace process moves onto the next stage and the issue of inclusion becomes even more complex. Women have historically been excluded from formal processes dealing with war and peace, yet they often represent the majority of those affected by war. In Mali, the security situation prevents women from moving around safely, accessing markets, and organizing themselves across communities. Women are at risk of experiencing violence when leaving their homes or communities. While it is important that women’s participation and rights are not neglected due to a focus on security, security is also central to women’s participation and a functioning civil society that is able to hold its government to account. The UN Security Council resolutions on women, peace and security recognize that conflict has differential impacts on women and men, that women’s rights must be protected during and after conflict, and that women need to play a role in conflict resolution and peacebuilding. By adopting these resolutions, the UN and its member states have committed to promoting women’s rights and their inclusion in peace processes. 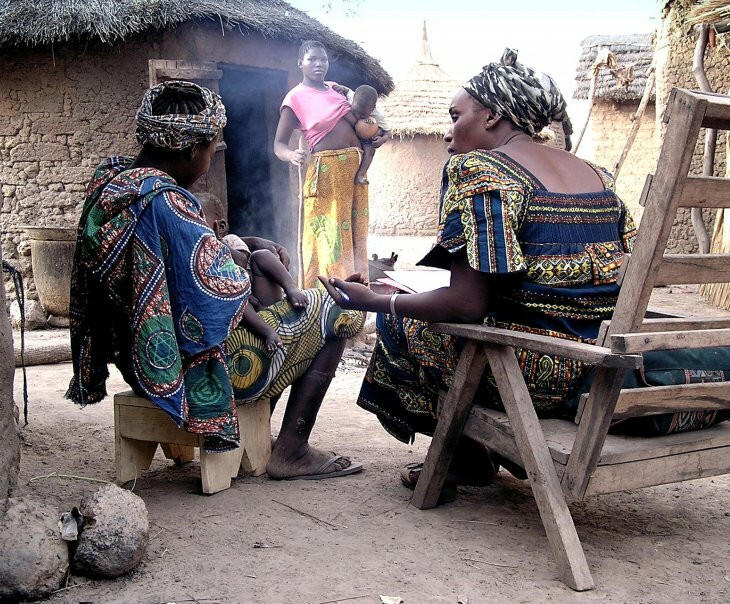 However, Malian women have been marginalized throughout the peace process and their inclusion has received little priority, despite mobilization by various women’s organizations, MINUSMA, and UN Women, and despite international frameworks such as UN Security Council Resolution (UNSCR) 1325, which both the international community and Mali have committed to. Research has shown that post-war transitions have the potential to offer new possibilities for women’s participation. Such transitions can lead to women’s rights being included in new or revised legal texts, thus granting and recognizing women’s rights at unprecedented levels. The question then becomes whether the Malian peace process offers opportunities for promoting women’s rights and participation? And if not, is it too late? The 2015 peace agreement between the government and rebel groups originally established a transitional period from 2015 to 2017, but the implementation of the peace agreement has been slow and is incomplete. During the peace negotiations, women activists, supported by UN Women and MINUSMA, organized themselves and lobbied key actors to enter the negotiations. Despite these efforts, women’s inclusion never became a priority. Among approximately one hundred delegates who participated in the negotiations, there were only five women. Women have also been underrepresented in the mechanisms for implementing and monitoring the peace agreement, and many women have express frustration about their continued exclusion from the peace process. Among these mechanisms are the Agreement Monitoring Committee (CSA), the Disarmament, Demobilization and Reintegration (DDR) Commission, the National Council on Security Sector Reform (SSR), and the Truth, Justice and Reconciliation Commission (CVJR). On average, women’s participation in implementation mechanisms rests at approximately 3%. However, something good has come out of this process. Women’s activists and women in the armed groups seem to have gained a new awareness of their right to participate and discovered support for their participation among certain segments of the international community. Furthermore, a law securing a 30% gender quota for appointed officials and electoral lists was adopted in December 2015. The law was relatively successfully applied in the local elections in 2016, increasing women’s representation on electoral lists. Unfortunately, the law is not being applied in the appointment of officials to serve in various roles and bodies, nor to the mechanisms implementing the peace agreement. Mali also has a National Gender Policy in place since 2010, and in 2015 it launched its second National Action Plan (NAP) for the implementation of UNSCR 1325 (1325 NAP). The overall goal of 1325 NAP, which covers the period 2015–2017, is to promote women’s participation in the implementation of the peace agreement, and the period will likely be expanded to cover 2018. This means that there are national legal instruments and policies in place to support women’s rights and participation in the Malian peace process. Although it is easy to feel disappointed about the marginalization of women in the Malian peace process, it is worth noting that the process has suffered from delays. Many of the implementation mechanisms and committees still have much work ahead of them. The delays in the peace process are worrying, but should also be considered as an opportunity to promote women’s participation. For example, Malian women’s activists argue that women need to play a role in the monitoring of the implementation of the peace agreement. This can be done by making sure that women are represented in the Agreement Monitoring Committee, as well as by creating parallel mechanisms to monitor progress using gender indicators. However, these opportunities must be seized before it is too late and the peace process moves onto the next stage. Furthermore, it is important to note that youth and other minorities are also experiencing marginalization in this process. A call for broader inclusion could, and should, aim to benefit these groups as well. This text is based on a PRIO Policy Brief on Women and the Peace Process in Mali(2017).